4.86 ACRE WATERFRONT With Lodge Like Cypress wood home, appointed with hand hewn beams, The stone fireplace reaches 2 stories to the the cathedral ceiling, with overlooking balcony.There are cypress walls and the living room, pool room, dining and kitchen are floored with Spanish tile. 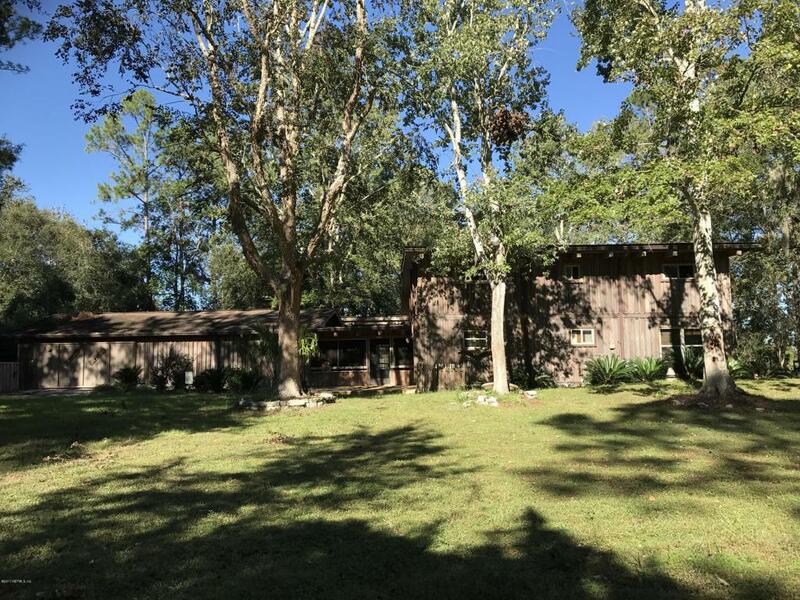 A screened breezeway separates main house from library/den , that could also be additional sleeping qtrs.The BONUS 2,400 sq ft WAREHOUSE can hold your boats and toys to play on LAKE BROWARD a 500 acre clear Lake. Centrally located , it is an easy drive to St Augustine, Daytona, Gainesville or Orlando.